Among other things, the beauty of flowers is that they bloom in all shapes and sizes with such variety in hues. There is a female wrestler on the horizon who is blossoming and gaining attention because of her power and strength. Kikyo Nakamura is the Fallen Flower who has demonstrated the ability to make many a beautiful Indie Female Wrestler fall and submit to her will. Kikyo has faced the likes of Brittany Wonder, Ruby Raze, Shotzi Blackheart, Lisa Lace, Sage Sin, and Shelly Martinez among others. At her Twitter she is self-described as being involved with RISE/Shimmer, is a Women Athlete, Grappler Brand/Dropkick Depression Athlete. Very impressive. Kikyo has been wrestling for over eight years. When you watch her ring presence, she moves with the swiftness of a cat on the prowl and there is no wilt in her. When we heard of her last name, it reminded of our early years visiting Japan and listening to another Ms. Nakamura who possessed a silky smooth voice with a fantastic range that could appeal to teens and adults alike. Her name is Ayumi Nakamura. In 1985 Ayumi Nakamura’s smash hit “Tsubasanooreta Angel” shot her to fame and stardom. It was and still is a moving song that reminds us of our early visit to Japan. Nakamura Ayumi was born on June 29th 1966 in Fukuoka, Japan. When she was four years old, her family moved from Fukuoka to Osaka. At the age of 18, Nakamura debuted as a singer in 1984 with the Takahashi Ken produced single “Midnight Kids“. Though it wasn’t until the release of her third single, “Tsubasa no Oreta Angel“, that she became really popular and it also began her career as a singer-songwriter as she was beginning to write her own lyrics (the song was co-written by Nakamura and Takahashi). In late 1985, she held her own concert series, AYUMIDAY, with the first one featuring the band Japanese rock band REBECCA. By 1987, she had started writing all of her songs. What she has in common with Kikyo is not only the name Nakamura but their themes that symbolize the power of temporarily falling and getting back up. In Kikyo’s case, she is also called “The Fallen Flower”. In Ayuma’s high signature song it is “Angel With Broken Wings”. We are certain you will love the song. Here are the various versions and the lyrics. And now for the lyrics……………. 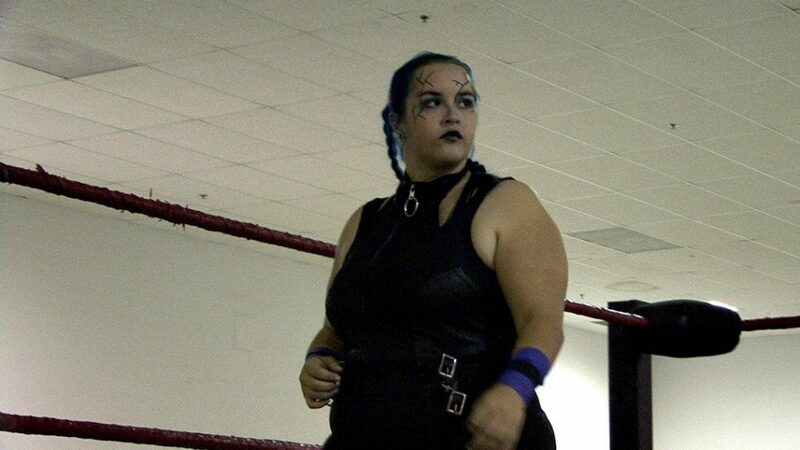 Kikyo the wrestler was born in Sacramento and is based out of Tampa, Florida. We also love how Kikyo represents the beauty of the curvy woman and like the flower, the emerging acceptance of the beauty of the variety of shapes in beautiful women.